The best ideas are simple, human-centered ones. During the recent budget process for the fiscal year 2018-19, I submitted a request and received the funding for free block party permits, city-wide. Block Party permits are issued through the police department allowing neighborhoods to block a residential street off for the event. This may seem like a simple idea, but the benefits of knowing your direct neighbors and building a support system in your neighborhood could have long lasting health and safety benefits. The Rose, White, and Blue Parade is an annual community tradition. The Parade begins at 10:00 a.m. at the staging area located at Lincoln High School, 555 Dana Ave., and winds through historic streets of the Rose Garden and Shasta/Hanchett Neighborhoods, ending at The Alameda near Shasta Ave. The Parade and Festival celebrates its 11th Anniversary along The Alameda. Join the Trash Punx to help clean the community, one piece at a time and have fun while doing it! Santa Clara County Fair has teamed up with Trash Punx. From now until the weekend before the fair, volunteers who come out will get a free ticket to the fair! Please join the Food Empowerment Project, State Assembly Member Ash Kalra, and the City of San Jose in collecting school supplies for children of farm workers this summer from July 16 th until July 27 th . The drop off location will be located on the first floor of City Hall M-F 9:00 AM-5:00 PM. Visit foodispower.org for the list of supplies. Learn more about the mission and impact of the Levitt Foundation, which empowers communities across America to transform neglected public spaces into thriving destinations through the power of free, live music. To reach out, visit levittsanjose.org. Except for public displays, all fireworks are illegal in San José. There are still fines for the sale, use, possession, or storage of fireworks. $500 for a first violation, $700 for a second violation, and $1,000 for a third violation. More enforcement efforts will be implemented during the 4th of July holiday. Pick up a "Fireworks are Illegal" lawn sign at the Willow Glen Community Center and place it in front of your home or business. The 35 th Annual National Night out will be on Tuesday, August 7th. National night out is a crime and drug prevention event that is sponsored nationally by the National Association of Town Watch and co-sponsored by the San Jose Police Department. Registration is open on the www.sjpd.org website and will close July 27th. 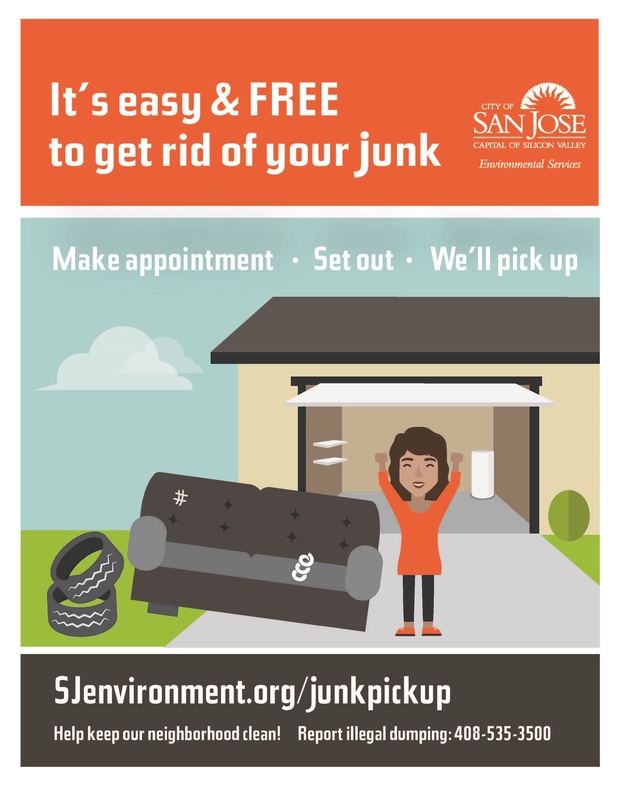 My San Jose - Your new way to request City services! To prevent DUIs and alcohol-related injuries and deaths, GJEL is offering free cab rides home this 4th of July weekend in the Bay Area and the Tri-Valley area (Pleasanton, Livermore, Dublin, San Ramon and Danville), and Sacramento. Take a cab ride on GJEL this 4th of July from Wednesday, July 4th, 2018 5:00 PM to Thursday, July 5th, 2018 10:00 AM. The Parks, Recreation and Neighborhood Services Department is hosting a movie night on July 13th, 2018 from 6:30-8:15 PM in the Multi Purpose Room. They will also have popcorn and root beer floats. For more information, please call (408) 448-6400. Through powerpoint-based lessons, hands-on coding activities, and quizzes, students will learn the basics of Scratch through an eight week course. Scratch is a very simple language and is perfect for those of any programming experience level. Students will learn the language through lectures and apply the lessons by designing and creating fun and interactive games. Quizzes also happen infrequently to ensure everyone understands the material. Do you have questions about downloading free eBooks, eAudiobooks, eMovies, and eMusic to your Kindle, Nook, iPad, or other portable device? Bring your own eReader, tablet, smartphone, or MP3 player for a free training session. Santa Clara County Public Health presents a special story time with every child receiving a Potter the Otter Activity Kit. The activity kit includes Potter the Otter's Market Adventure book, a Potter cookbook with yummy fruit and veggie filled recipes from Potter the Otter and his friends, and an activity booklet. Along with the reading of Potter's adventures at the farmers market, we will also be reading the Potter the Otter, a tale about water. This book helps children understand the importance of drinking water to stay healthy and hydrated. Who: children's ages 7 & up. Cost: $395 ($399 for non-San Jose residents). Includes official WGCT t-shirt. Register online at www.wgct.org , or in person at the Willow Glen Community Center in Lincoln Ave. Limited space. Sign up early to avoid the waiting list later. Scholarships available - go to www.wgct.org for information. Learn about Space with a NASA Ambassador! Are you fascinated by space exploration? In this fun, interactive program, NASA Ambassador Joshua Morrison will discuss NASA's current endeavors and give you the inside scoop on outer space. Participants will also do a craft that demonstrates the principles of jet propulsion. Perfect for children ages 8-12. No registration required. Come browse the Friends of the Willow Glen Library's Book Sale . Great bargains can be found on gently used books and media. All proceeds support programs at the Willow Glen Library. Thursday: 1pm-10pm (Carnival open until 11pm) - $1 day! The next Elks Adopt-A-Highway Clean Up is Saturday, July 21st. For more information, please contact Carlo Pedron at cjpedron@gmail.com.